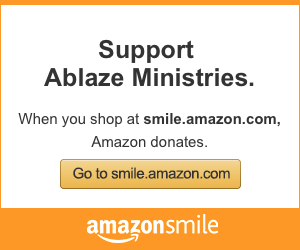 Ablaze Ministries serves the dual purpose of forming outstanding youth ministers for the Church and providing quality youth ministry to parishes of all sizes. To provide quality ministries, we serve with a Christ-like abandon. As a team, we collaborate and share our gifts in ministry with one another. We provide knowledge to help youth grow in understanding of their faith, but more importantly, we bring them to an encounter with the living God. We do this through our youth ministry programs, Ignite and Journey, and our large events. Ablaze Ministries provides all of our youth ministers and campus ministers with a ministry partner, a mentor (ministry veteran), as well as spiritual and theological formation. One of our beliefs in ministry is that in order to make disciples, we need to first be disciples. Because of this, our staff is required to complete theological training and to make prayer a daily priority. We must be filled and formed so that the ministry can be formed.